Rashtriya Janata Dal (RJD) chief Lalu Prasad Yadav on Friday asserted that the Income Tax department inquiry in connection of the ownership of Benami properties is a conspiracy by Prime Minister Narendra Modi against him. "This matter is sub judicial; I don't want to make any comment on the same. My family has not done anything wrong. Prime Minister Modi is planning such conspiracies against anyone who is not supporting him," Lalu told ANI. He further asserted that no matter what, he is not going to bow down and will give his reply in the court. Earlier on Thursday, Lalu's son-in-law Shailesh Kumar was quizzed by the IT department for nine hours as part of an inquiry in connection with charges on ownership of Benami properties. Kumar was questioned about his Bijwasan Farm house property which is registered on the company name ' Mishail packers and Printers Ltd.,' in which both husband wife (Misa Bharti) are the directors of the company. I-T officials later added that the real beneficiaries are Misa Bharti and Shailesh Kumar. In records, the book value of the farm house is Rs. 1.4 crore, but the market value of this farm house is more than Rs. 40 crore. On Wednesday, Bharti made an appearance before the I-T department in connection with the same case. 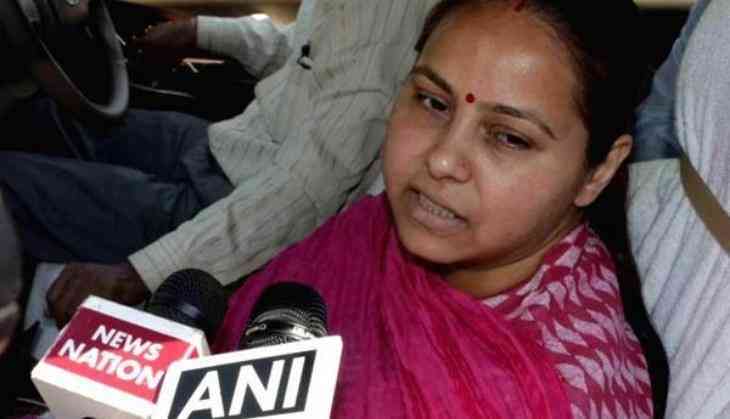 The I-T department had attached a total of 12 plots of Misa Bharti and her husband Shailesh Kumar, Deputy Chief Minister Tejashwi Yadav and ex chief minister Rabri Devi, and sisters Ragini and Chanda Yadav. The I-T department had earlier seized Benami properties of Misa Bharti, Shailesh Kumar and Tejaswi Yadav.